Home / Google Android / iPhone / Technical / Thinking between iPhone 4S (Apple) vs Galaxy Nexus (Samsung Google)? Some comparison and suggestions in terms of tech specs! 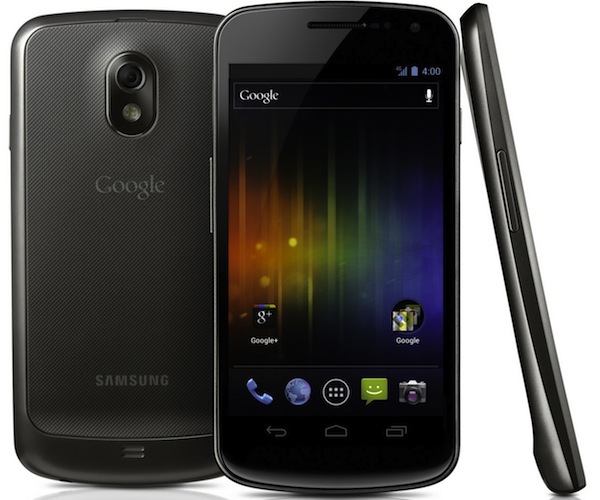 Thinking between iPhone 4S (Apple) vs Galaxy Nexus (Samsung Google)? Some comparison and suggestions in terms of tech specs! Originally Galaxy Nexus was to be announced right after the release of iPhone 4S, however, Steve Jobs’s (1955 – 2011) death shock the world. Samsung claimed they are paying tribute to the father of Apple Inc by postponing the event of Galaxy Nexus. Today, the mystery has uncovered, it is the Google X Samsung Galaxy Nexus loaded with Andriod 4.0 Ice Cream Sandwich. Newcomers to smartphone may now hesitate which one to buy, while those who are disappointed by iPhone 4S might think of switching to the Andriod Family. This challenger after Galaxy SII is certainly a threat to the dominance of iPhone in SouthEast Asia market. As long as hardware is concerned, they both are compatible to each other. Galaxy Nexus undeniably wins in terms of CPU. However it seems strange that Galaxy Nexus is not putting up a 1.5Ghz Processor. Galaxy Nexus’s internal storage is limited to 16, 32 GB while iPhone 4S is now available in 64GBs. But it seems there are numbers of area that Galaxy Nexus is still ahead of iPhone 4S, like the screen size 4.35 inch compared to only 3.5 inch. The 3.5 inch multitouch screen seems to be no longer attractive to high-end users and cannot fulfill consumer needs, therefore a 4.35 one definitely wins the battle. In light of the hardware seen in the above graph, it seems both of them have advantage in different ways. Admittedly, Galaxy Nexus is more responsive to the marker, offering something that consumers are demanding right now. While iPhone 4S, the last masterpiece of Steve Jobs remains its Apple Phenomenon worldwide by claiming customer loyalty. However, if Apple does not put up iPhone 5 as a revolutionary product as soon as possible, they may lose this fight gradually. Another thing to mention is, the major battle should focus on the operating system – iOS5 vs Andriod 4.0. it seems Google is moving very fast numerically to catch up with the number 5.Saying that iCloud and other new stuff in iOS5, it seems still running the old thing behind the schedule of creative android development. Andriod 4.0 offers many new stuff and this could challenge iOS5 seriously. So when you are thinking between them, my advise would be to look at the Operating System and see which best suits you. Comments, any thoughts? Leave your message here! « Previous Article Next Generation Galaxy Nexus announced! No more Nexus Prime? Andriod 4.0 and Galaxy Nexus info here! 3 letters – LTE. Enough said. Game over! I have read a few just right stuff here. Definitely value bookmarking for revisiting. I surprise how so much effort you place to make any such wonderful informative web site. Just desire to say your article is as astounding. The clarity on your post is just spectacular and that i could think you’re knowledgeable in this subject. Well along with your permission allow me to seize your RSS feed to stay up to date with drawing close post. Thanks a million and please continue the enjoyable work. Thank you for the good writeup. It actually used to be a entertainment account it. Glance complex to more delivered agreeable from you! However, how could we communicate? I?m now not certain where you are getting your info, but great topic. I must spend some time studying more or understanding more. Thanks for magnificent info I used to be on the lookout for this information for my mission. My brother recommended I would possibly like this website. He was once totally right. This post truly made my day. You cann’t believe just how so much time I had spent for this information! Thank you! Pretty great post. I just stumbled upon your weblog and wished to mention that I’ve truly enjoyed surfing around your blog posts. In any case I?ll be subscribing to your rss feed and I hope you write once more very soon! iOS 6 Jailbreak Is Finally Here!